JUNE 15, 2018, Washington D.C. – Let’s chat retirement for a quick minute. 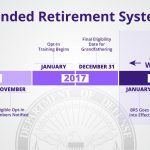 You took the Blended Retirement System (BRS) training last year, right? Probably because your boss told you to get it done so she could report 100 percent completion for your unit, right? And it was probably the most boring two hours of your life, right? 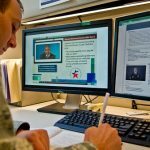 So, now that we’re halfway through 2018, how much do you actually remember about BRS and retirement from that training? Not much, am I right? Exactly. So let’s break it down. 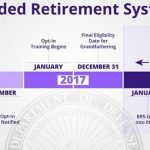 Anyone who was in the military as of Dec. 31, 2017, is automatically grandfathered into the High-3 Legacy retirement system. Remember, that’s the one where you multiply the number of years you serve by the average of your highest 36 months of basic pay by 2.5%. This option requires you to serve at least 20 years to qualify for retirement. However, if you have less than 12 years of service (active duty) or less than 4,320 points (Reserves/National Guard), then you have a choice to make. You can either stick with the High-3 system or opt into BRS. First, let’s be frank. This is a highly personal decision, and quite honestly, we support you either way. 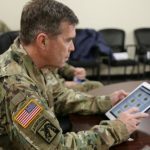 But we (the Department of Defense) want to ensure you have the right tools and information to make the best choice for you and your family. So. You need to take a hard look at your finances and your goals. Chat with your spouse or family. Make an appointment with your installation’s personal financial manager or another trusted advisor and run the BRS calculator. See which choice is best for you. If you want to stick with the High-3, great! Enjoy that retirement and ride off into the sunset! If you choose BRS, that’s great too! There are some great benefits to BRS, IF you decide it’s the best choice for you. So let’s look at how you can 1) take ownership of your retirement, and 2) make the most of it. Remind me again what BRS is? 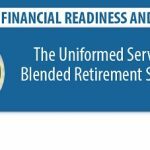 Through the Blended Retirement System, you don’t have to serve 20 years to walk away with government-provided retirement benefits. 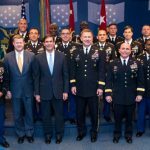 So, if you don’t think you’ll make a career out of your military service (and that’s FINE! ), BRS would be a great choice for you. If you do plan to serve 20 years, the important thing to remember is that if you opt into BRS early and maximize your Thrift Savings Plan contributions, you could have a retirement that is potentially equal to or more than what you might earn with the legacy retirement system. Defined contribution: Government automatic and matching contributions of up to 5 percent of basic pay to your Thrift Savings Plan. Even if you’re sticking with the legacy system, TSP is still something you should consider. 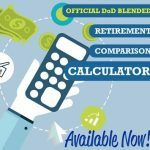 While the government won’t match your contributions (that’s BRS only), TSP is a great way to augment your monthly retired pay. Continuation pay: A one-time, midcareer bonus in exchange for an agreement to perform additional obligated service. 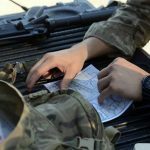 It’s a direct cash payout, much like a bonus, and is only available to service members enrolled in BRS. Service members who are eligible may receive a payment of at least 2.5 times your monthly basic pay. 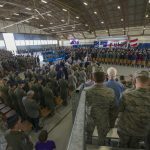 Reservists and members of the National Guard are eligible to receive 0.5 times their monthly basic pay as if serving on active duty. However, this is unique to each service, so ensure you check with your Manpower/Personnel office to find out more information. You can find more information on continuation pay here. So, if you opt into BRS and serve 20 years or more and qualify for retirement, you have a pretty sweet deal. But the cool part is that even if you DON’T stay for retirement (which again, is totally OK), you still walk away with your TSP. And don’t worry, you’re always vested (entitled to) your own contributions and earnings. 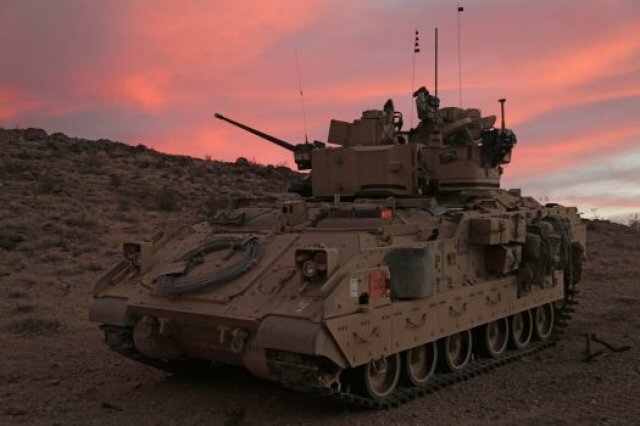 However, to become vested in the Service Automatic Contribution (1%), you must have completed two years of service. After two years of service, you are considered fully vested. AND what’s even cooler is that, say you get out of the military completely and you get a civilian job with a 401(k) — you can roll your TSP into that company’s retirement fund. Or, you can choose to leave your TSP alone until you’re of the age to tap into it (which is 59 1/2, btw). Even if you’re not contributing to it anymore, your TSP will continue to grow over time based on the market’s performance. So, you could potentially have a tidy sum that you can access when you finally retire from working. Let’s just call this what it is … a win-win. First and foremost, like we said already, it’s critically important that you make this decision fully armed with the information you need to make the best choice possible for your financial future. That means going to your installation’s financial manager, talking with your spouse or someone you trust. 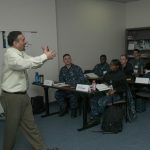 Deeply consider what you want your life after the military to look like, how you’ll get there and how either the High-3 system or BRS can help you get there. If you are one of those folks who is grandfathered into High-3 and choose to stay there, then there’s nothing you need to do. Just keep going to work, doing great things and getting closer and closer to retirement. If you decide that BRS is the way to go, remember that you have until Dec. 31, 2018, to opt in. That can be done via MyPay if you’re a Soldier, sailor, Airman or Coast Guard member, or MarineOnline for you Marines. Once it’s done though, you can’t change your mind. The decision is final. Then, after that, double check your TSP contribution to ensure that you receive the government matching benefit. If you opt in, you automatically receive the 1 percent government contribution. But YOU have to physically adjust anything after that to ensure you receive the government matching. If you don’t make any TSP changes, your existing contribution rate stays the same, even if that is zero. And if you can’t afford to contribute the full amount right now, that’s totally OK. But think about what you can contribute now and then factor in pay raises or bonuses for potential opportunities to increase your contribution when you can. If you’re a Reservist, this applies to you, too. But your TSP contributions come from your weekend drill pay. But, any time you’re on long-term active duty orders, your contributions will continue, but come from your basic pay. So, let’s recap for a hot minute. While planning for retirement might not be on your mind now, it’s really, really important that you take a second to thoroughly think through your options: BRS v. High-3. And if you’ve made your decision and BRS is it, ensure you opt in by the deadline, Dec. 31, 2018. However, after Dec. 31, 2018, your retirement choice will be irrevocable. 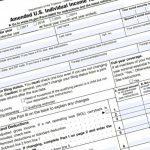 If you’ve already opted in, or once you do so, ensure your TSP contributions are adjusted to maximize your TSP and ensure you receive the government matching capability. You’ll be able to adjust your TSP contributions at your leisure any time moving forward. We just ran through a lot of pretty dense stuff. But, like we said, we, the Department of Defense, are totally cool with whatever choice you make. We just want to ensure you have the tools and resources to make an educated decision. Your retirement is your future – be sure you’re financially prepared for it — and give yourself a high five for making the right choice for you!